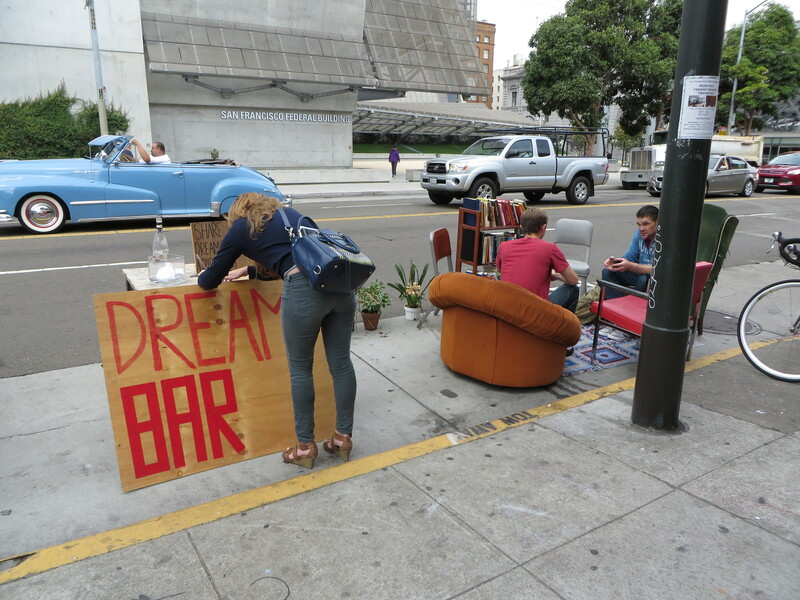 A strange thing happened this year on Park(ing) Day — in San Francisco, there seemed to be a lack of participants. 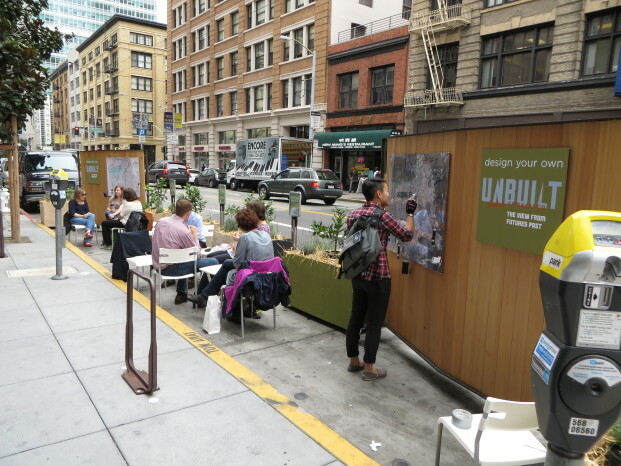 Despite the outpouring of creativity that went into building and displaying innovative uses for a parking space last week, these installations were still far outnumbered by the semi-permanent permitted parklets that already exist across the city. The decrease in Park(ing) Day installations in the city shows that we’re nearing parklet saturation. We no longer need to create parklets so many parklets that expire in a day because we already have enough semi-permanent permit-protected ones across the city. 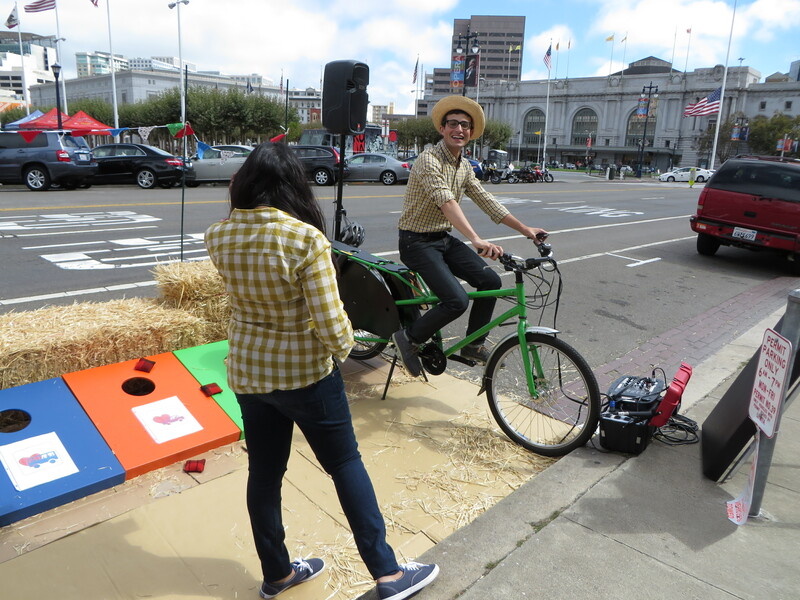 That’s not to say that our current parklets completely fulfill the need for innovative uses of public spaces — just that we’re ready for the next iteration or solution. What’s next for creating more livable cities? [freespace]’s Dream Bar — a public living room, complete with comfy chairs and a bookshelf. 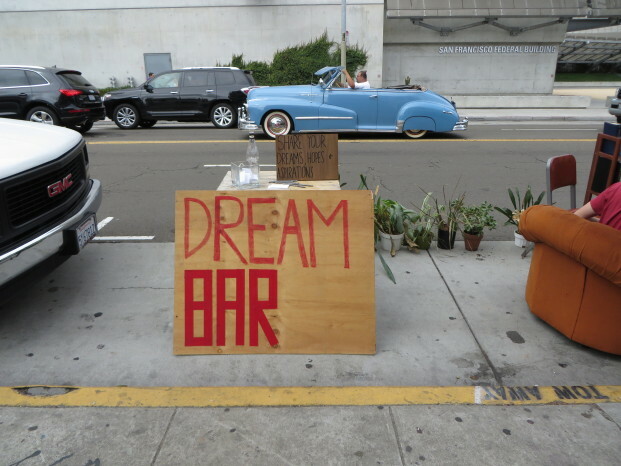 Visitors were encouraged to write down their dreams and share them with others. 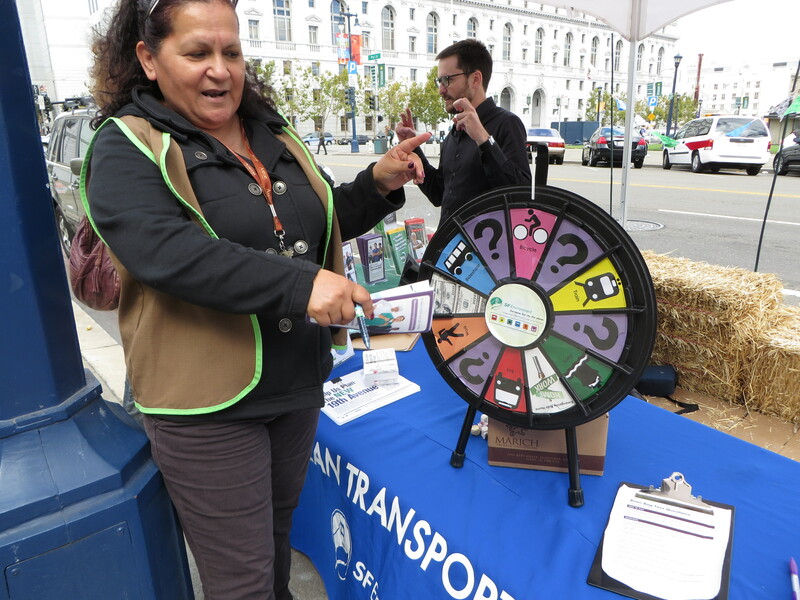 SF Transportation County Fair — a mini carnival where visitors could play games, win prizes, and pedal a bike that powered a pair of speakers blasting pop music. 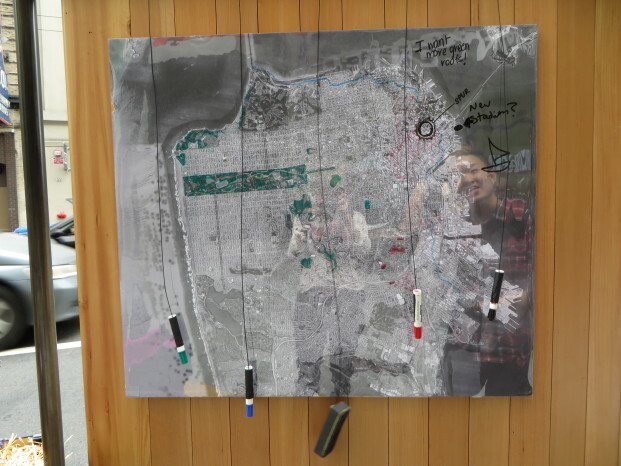 SPUR’s “Design Your Own City” encouraged visitors to add to a map of San Francisco, drawing in the public transportation or green spaces plans they would like to see become a reality.